Ramon Laguarta is exactly the right person to build on our success. He has a deep understanding of the changing preferences of consumers and other critical trends unfolding around the world, say the outgoing CEO Indra Nooyi. After her 12-year stint as the CEO of PepsiCo, Indra Nooyi will pave the way for Ramon Laguarta to be the top boss of the American multinational food, snack, and beverage corporation. The 54-year-old Laguarta, who's going to be the sixth CEO in PepsiCo's 53-year history, will officially take over from Nooyi on October 3. Laguarta's appointment marks the company's tradition of appointing CEOs from within the organisation. Laguarta, who hails from Barcelona in Spain, was appointed the CEO of PepsiCo Europe in 2014. He moved to the US in 2017 when he was appointed the company President. "I'm incredibly humbled and privileged to be appointed the next CEO of PepsiCo. I want to thank Indra for her overwhelming support. She has transformed the company with her bold vision and outstanding leadership, and I feel fortunate to have her as a mentor and a friend," said Laguarta. Laguarta did his MBA from ESADE business school in Barcelona. He also holds a master's degree in International Management from the Thunderbird School of Global Management in the US. 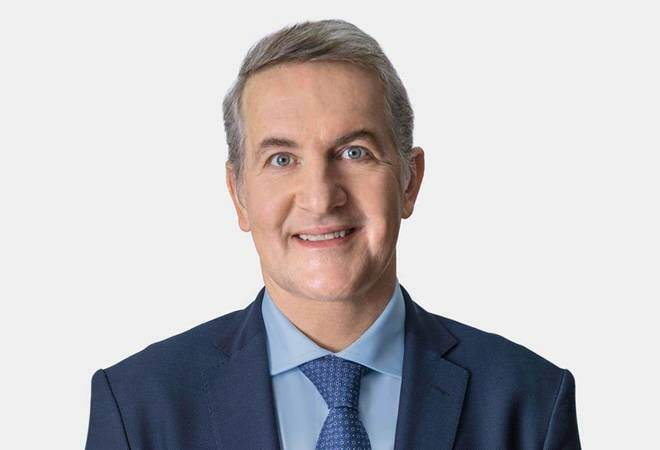 Before joining PepsiCo in 1996, he worked for Chupa Chups, a Spanish leading confectionery company, where he held a number of international roles in Europe and the US. He oversaw the company's food and beverage business across Europe and food business in Sub-Saharan Africa during his initial years with PepsiCo. "Ramon Laguarta is exactly the right person to build on our success. He has a deep understanding of the changing preferences of consumers and other critical trends unfolding around the world," said the outgoing CEO Indra Nooyi. Analysts suggest Laguarta's major challenge will be to drive the company's growth in nutritious product segment. In one of his recent videos on video-sharing website Vimeo, Laguarta said: "Future is not going to be easy... innovation is going to be key."